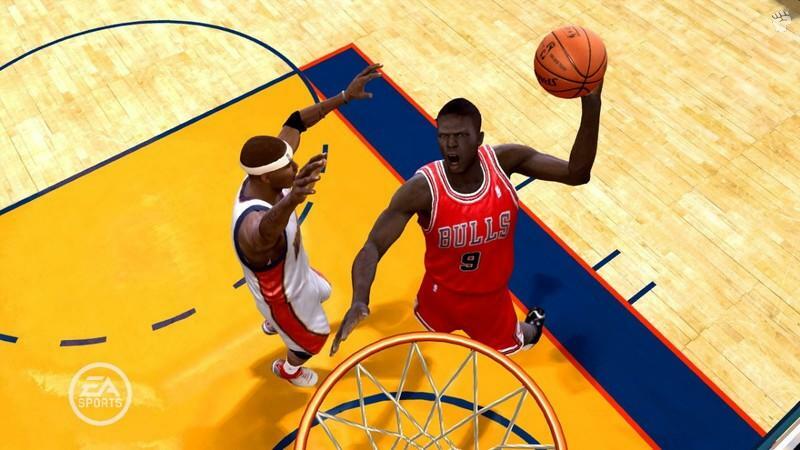 EA Sports definitive basketball series returns on PlayStation 3, PC and the XBox 360 which promises fans of the sporting genre another amazing basketball experience. Featuring 1 – 4 players locally or up to 10 players online, the title also features amazing high definition graphics (1080p) which simply looks amazing on high end televisions. 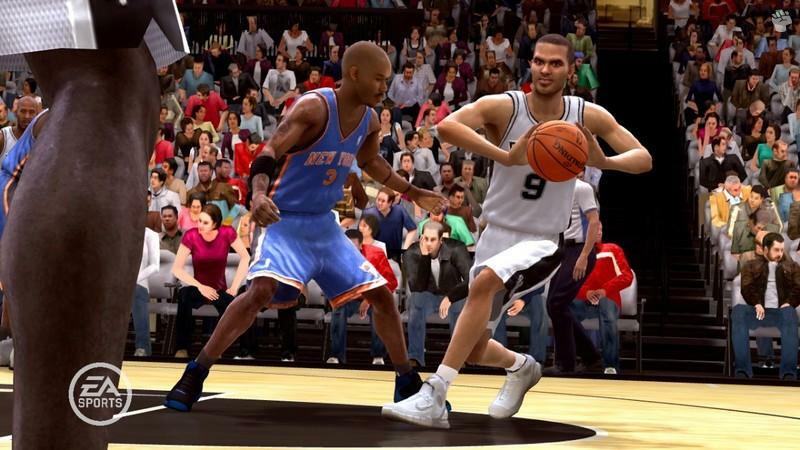 Although in its essence, NBA Live 09 is your traditional arcade/simulation basketball game, EA Sports have ensured to add a variety of new features to the current version, giving gamers more realistic options while playing. DYNAMIC DNA—The brain behind the game is powered by Synergy Sports Technology , the premier analytics provider using NBA data for over 20 NBA teams, which evaluates Player DNA that breaks down how a player scores, Team DNA that rates how the players on the floor play as a unit and Tendencies that refer to the percentage a player drives left, right or shoots from each spot on the floor. NBA Rewind*—–Think you can do it better? Rewrite history and replay last night's game with the updated statistical data that recreates identical conditions including injuries, hot/cold streaks, tendencies and player DNA. Signature Playcalling— Introducing an accessible in game playcalling system that pushes on-court visualization to guide you through the play. Linked to LIVE 365, this feature will suggest authentic plays for NBA's stars to run on the court. Quickstrike AnkleBreakers—Force your defender to step up and guess what you'll do next. Trigger the turbo button and use the right analog stick for bold, responsive ball-handling moves to fake out your defender and create scoring opportunities. 5 vs. 5 Online Team Play – All 10 players on the court can now be controlled by users on 10 different consoles around the world. Now the game outcome can be completely dependent on how you play as an online team. Online Custom Leagues—Create your own online league, with all-new drafting, trades and a single elimination playoff format. Be A Pro—Feel what it's like to be a part of a team and lock in as one player – online using Online Team Play, or offline in single player mode. Let NBA LIVE give you feedback and track how well you are playing your position. 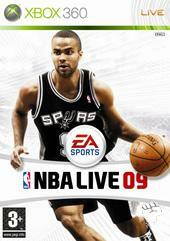 The most noticeable feature of NBA Live 09 is NBA Live 365 which gives the player daily updates of current the NBA season. Everything from statistics, rosters to even injuries are automatically downloaded into your game, giving you one of the most realistic console basketball experiences. A valid XBox Live account is needed for this function. FIBA World Championship is another addition to the franchise which finally breaks away from the NBA and allows you to play an international basketball experience as you guide one of the 24 national teams to the world championship. It would have been nice if this option also included live updates, however NBA Live 365 is a step in the right direction. Game wise the title is quite reminiscent of the previous version, however the on-court action has been tweaked and match that with new player moves and NBA Live 09 is an entertaining upgrade over its predecessor. It even offers a new pick and roll control system and also some great fake-out moves. The control system is perfect on the XBox control system with novice gamers having little difficulty in picking up the control and playing immediately. Even though it may have a steep learning curve to master, novice gamers are given a true challenge while more seasoned gamers can concentrate on other aspects of the title. 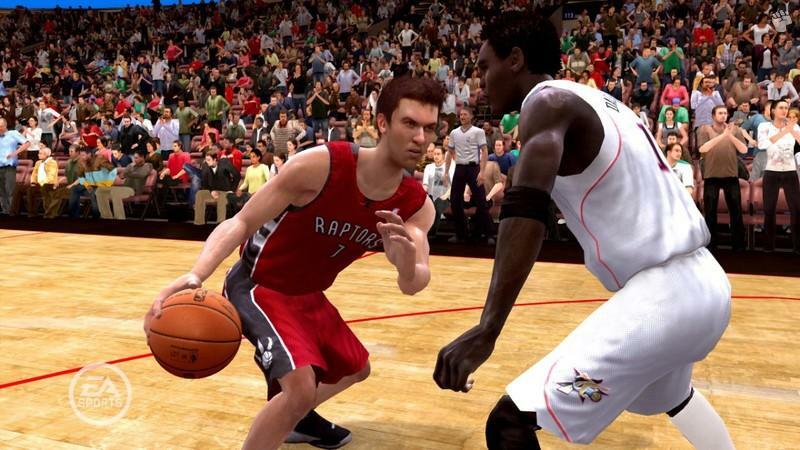 When it comes to online, NBA Live 09 is a truly entertaining experience with up to 10 players being able to play simultaneously. Each of the online clubs can have up to 50 different members with five players from each club participating in online games. There is even a great leader board system that displays the points for your club and even team blogs which is great for communicating with club members. Definitely a great community experience. With a variety of different gameplay options from exhibition to seasons or even online, those wanting to make a “career” out of the game also have the option of playing as “Pro” in the “Be a Pro” mode. Although not as engaging as Fifa 09, it still gives a twist to the regular gameplay modes but it would have been nice if you could have created your player as rookie in order to become a superstar, rather than play an existing player. Graphically, the title is a pure eye candy on the XBox 360 that simply looks phenomenal on our high definition TV. The player animations are great and we only saw a few glitches but this was far and few. The texture details on the characters are also quite detailed and one could almost be mistaken in thinking that they are watching the NBA on TV. The reflective surfaces and lighting effects are still similar to last year but all in all, one can easily notice the difference between the previous games. The soundtrack of NBA Live 09 is truly pumping and suits the genre perfectly as do the sound effects and almost perfect commentary. In conclusion, EA Sports have done a great revamp of the series and the additions of NBA Live 365 and the online club mode has set a new benchmark for the world of basketball gaming. With good graphics and sound, my only complaint with the game is that the “Be a Pro” mode is a little lackluster but it’s still one of the best basketball games available!